One of the social outcomes of the November general election is the way in which American leftists now criticize and coach ourselves, telling each other in both hindsight and anticipation that we ought to be fighting like conservatives—to be the unrelenting, uncompromising, more confrontational versions of ourselves. There's no way of knowing until it happens whether this will result in the U.S. (and surely, the internet) becoming one giant, overwhelming bucket of passion, tearing us in all directions. But by George (! ), we'll all have clear cut stances to put out there and fight for. The same might be said of musicians, or any artist, really. You can preach the word if you please, whatever the word is, but be passionate, be convincing and convinced, be mighty. Marching Church is the more recently active project of Elias Bender Rønnenfelt, frontman (or, as Lias Saoudi might call it, posturer) of Copenhagen's Iceage. 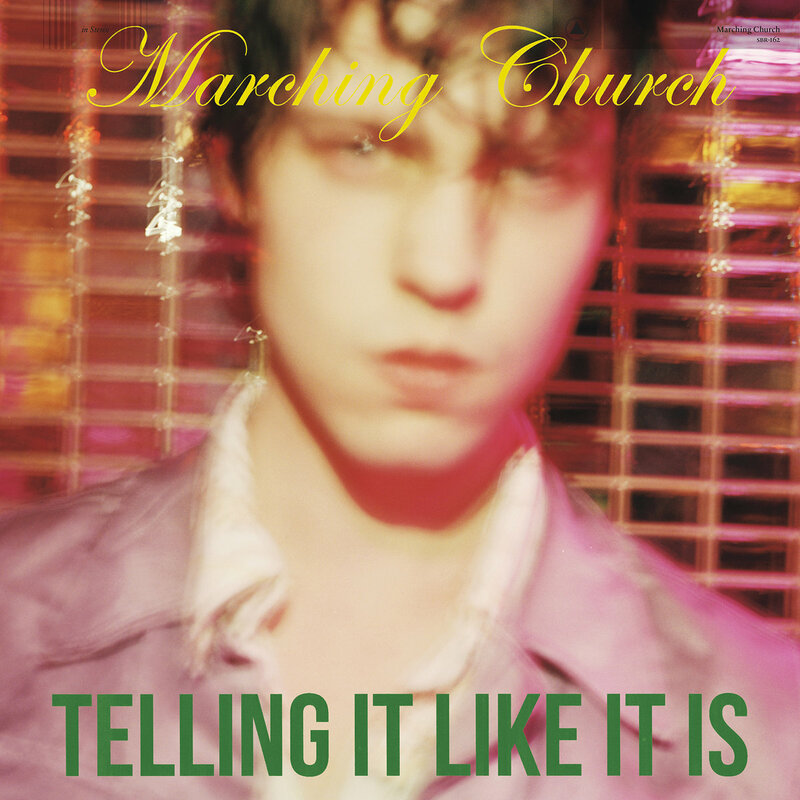 Marching Church runs parallel to Iceage; it's also drawn comparisons to Nick Cave, and with good reason. As with the transition from Birthday Party to Bad Seeds, this is what happens when a fighting spirit ages out of punk rock and into piano ballads. It's the songs of the Twilight Sad as performed by members of Killing Joke, with tumbling drums, looming violin, and Rønnenfelt's tortured soul up front. Exception being, perhaps, the single "2016," which is what the Waterboys might've become if they'd run with what they were in 1988. The project has a European fearlessness to it: unafraid to pour out, to not just mimic the style of but embrace the passion of its past musical heroes, to shout the loudest not out of arrogance but out of desperation. American punk doesn't act with this sort of desperation, and perhaps it's never needed to. But that's neither here nor there. Rønnenfelt and his work consistently walk the line between artsy and militant, with urgent force. If this wasn't the most exciting album of 2016, it was certainly one more in a string of thrilling releases led by a commanding presence. Madly in love with this one.